While countless fans meet up in our Heroes forum and discuss last night's episode, our staff wants in on the action! We've gathered together to analyze various events and developments from "Ink,' including a possible new Hero and an awesome new villain. 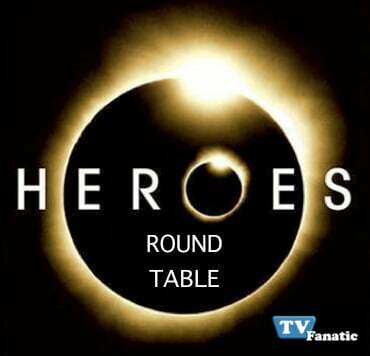 With that in mind, let's get right to the latest edition of the Heroes Round Table! What's the deal with Emma? A. Hiro: I don't know yet, but it's hard to recall a new character making such a great first impression. I was intrigued from the moment her bed shook in order to wake her up. Milover: I bet she's a love interest for Peter, which ought to take the show in a welcome direction. I know these characters are busy being super human and all, but it would be cool to see some of them involved in typical relationships. Timex: She's deaf and she can see sounds as light. How did you miss that? Who is the most interesting character on the show? A. Hiro: This general question is my biggest issue with the show right now. Yes, the first two episodes have been solid. But when you stop and realize that Samuel is the most fascinating character - BY FAR - it says something about how far others have fallen. Milover: The answer is clearly Samuel, but this is an unfair question. He's new. Of course he'll be more interesting at first. Moreover, why does it matter which character keeps your interest. Isn't the important thing the fact that you are interested at all? Timex: I'm stil a sucker for HRG. But they need to get him involved in a better storyline. We get it. He loves his Claire Bear and wants to keep her safe. Can we move on now? A. Hiro: Not one bit. She's seemed far too curious about Claire in general, even before she found out about her ability. Keep your eyes open, Bear. Milover: Even if I don't, i think Claire has to right now. That speech she practiced and then told her dad last night was spot on. At some point, she simply has to try and let other people into her world. Timex: Yes. She can't hurt Claire anyway, so what's the harm? If this actually turns into a lesbian storyline, though, I'll sour on it quickly. Will Parkman return Sylar to his body? A. Hiro: Yes, but not on purpose. I think Sylar will, eventually, manipulate Parkman against himself - as he did last night with the dead girl - and find a way back to his former self. Milover: Call me negative, but I don't follow this storyline AT ALL. Isn't Sylar inside Nathan? Controlling some of his actions and thoughts? I'm confident that's true. So it means he's ALSO inside Parkman's head?!? I know Sylar has many abilities and all, but the show is defying its own logic by placing him inside two people at once. Timex: I love the idea of an evil Parkman, so I'm happy no matter what direction this takes. If a series can properly turn a good guy bad - something Heroes failed to do with Nathan in a previous attempt - the potential is enormous.